Tonie Walsh has been making a show of himself his whole life. He has thrown Dublin’s most seminal parties, from Flikkers to Elevator to H.A.M. He came second place in the inaugural Alternative Miss Ireland in 1987, and has even stood for election at local and national level. The city is his playground and his stage. Known as Ireland’s Godfather of Gay, Tonie Walsh is a living legend. For decades he has fought tirelessly for civil rights – for housing rights, women’s rights, and queer rights – while the country changed around him. Legendary DJ, club impresario, historian, activist and master storyteller; Tonie tells the story of Ireland’s seismic social change from someone who has lived through it, gloriously, after dark. And he’s here to tell us why there’s still fire in his belly. 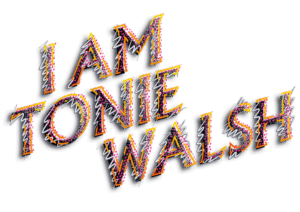 I Am Tonie Walsh is our powerful new show about active citizenship, creativity over consumption, and community. It’s a call to action about standing up for what is right – and being fabulous while doing so. It’s all back to Tonie’s gaff. “Tonie is the Irish queer community’s master storyteller.